1. 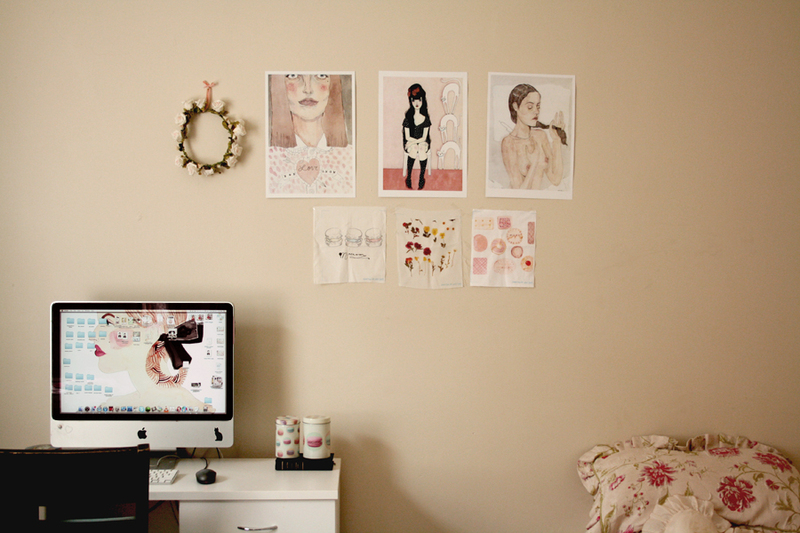 My trusty computer with a girly desktop, some poster sized prints of my paintings and fabric swatches on my bedroom wall. 2. 'true love' poster print and floral halo that i made a long time ago. 3. 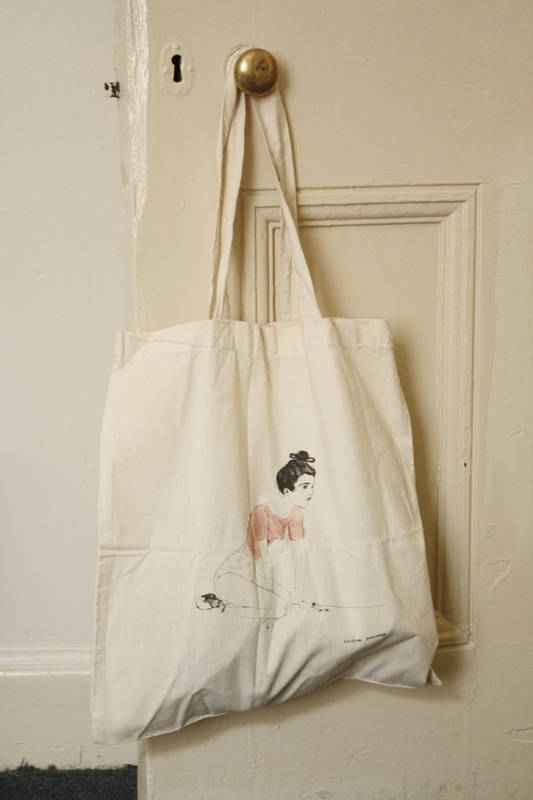 A printed tote bag which is a one-off for sale in my etsy shop. 4. My favourite vintage dress of all time, which used to belong to a distant relative and is unfortunately just a tad bit too small for me. 5. 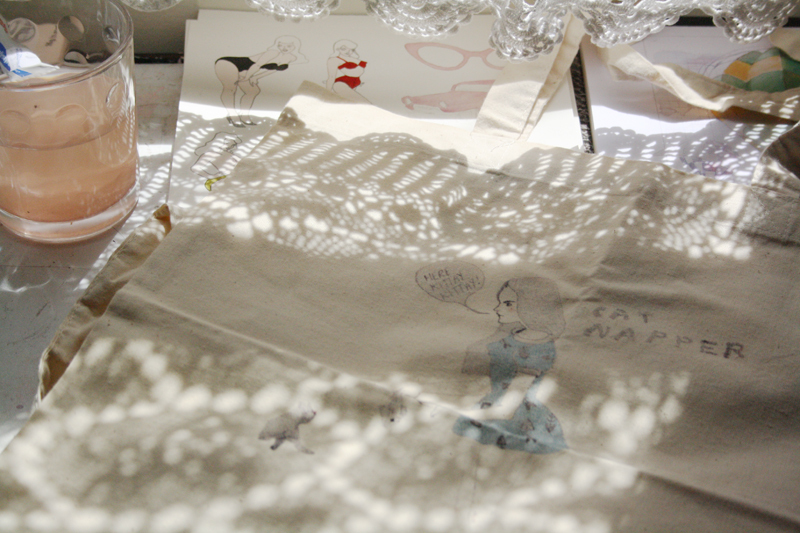 The way the desk looks today, with sun shining through my crochet curtain. 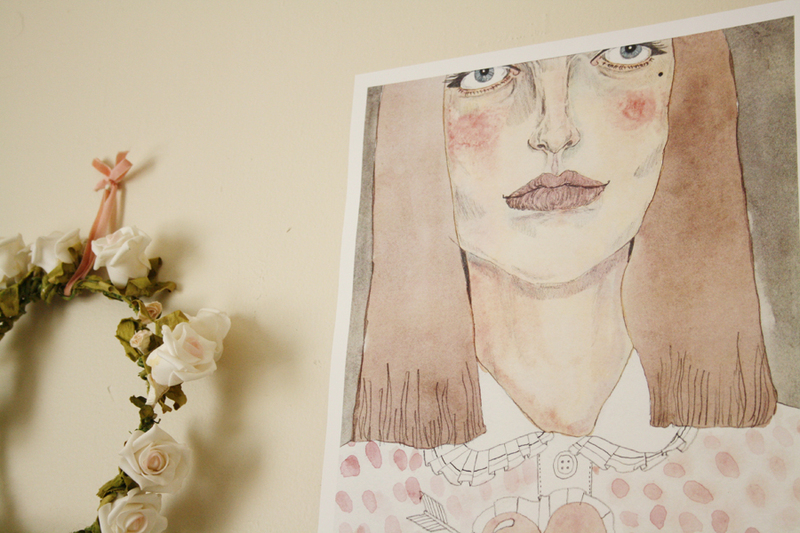 which means it's your lucky day because all prints are %20 off in my etsy shop! Just enter the coupon code HOORAY to get your discount. Oh, and a limited number of the Audrey Grace lookbooks are back in stock too! Gosh, if only my bedroom looked anything like this! Thanks. I've only very recently moved in so it's very sparse at the moment - compared to my usual standards, haha! I got one of the lookbooks in the mail yesterday and it is gooooorgeous! Do you sell the tote bags too? Yes indeed! I have two thin cotton totes in my etsy shop at the moment, (selling off excess stock for super cheap) and i'm actually organising some with a different printing company this week, so i'll have some nice sturdy new ones in my shop in about two to three weeks. Your art is truly magical and inspiring! Thankyou very much for being kind. so so beautiful and fresh. That dress may be my new favourite too! Its so cute! 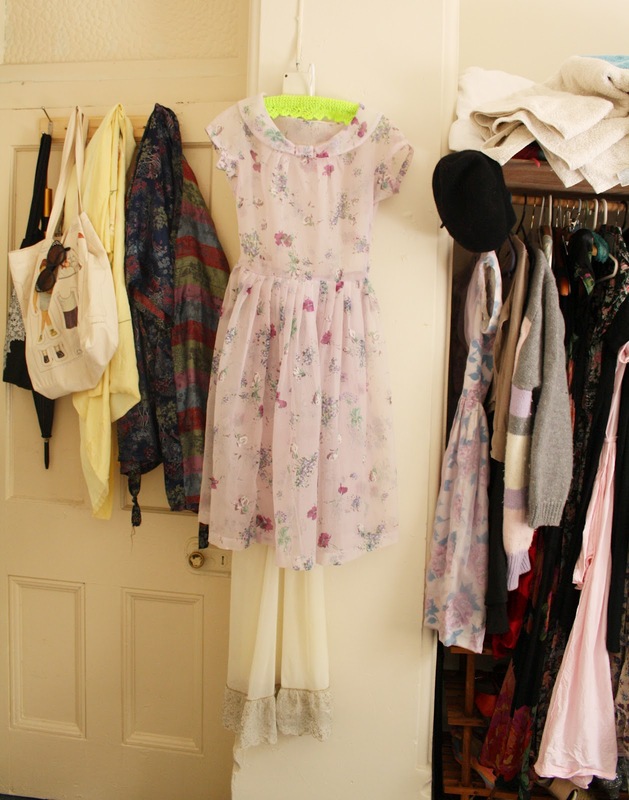 It's not just simple but looks fashionable.